Ryan Gabert demonstrates the EP Brush Home Invader streamer. A variation of Doug McNights streamer pattern. This has been an extremely effective streamer for large brown trout for our staff. Enjoy. 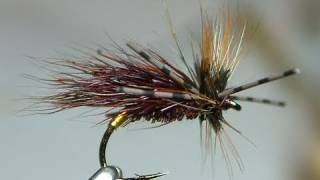 Tying the Gnasher Sedge Hog by Davie McPhail.